Which Commercial Vacuum Sealer Models Are Worth The Cost? Commercial vacuum sealers are more heavy duty than the vacuum sealers that are designed for home use. This is because they have stronger suction and sturdier motors that keep sealing for hours and hours without buckling. This in turn extends the food’s shelf life, freshness and taste, helping you to make more savings. But, depending on the frequency of use, you can recoup their seemingly hefty investment within just months. Read on for a little bit more about each model. 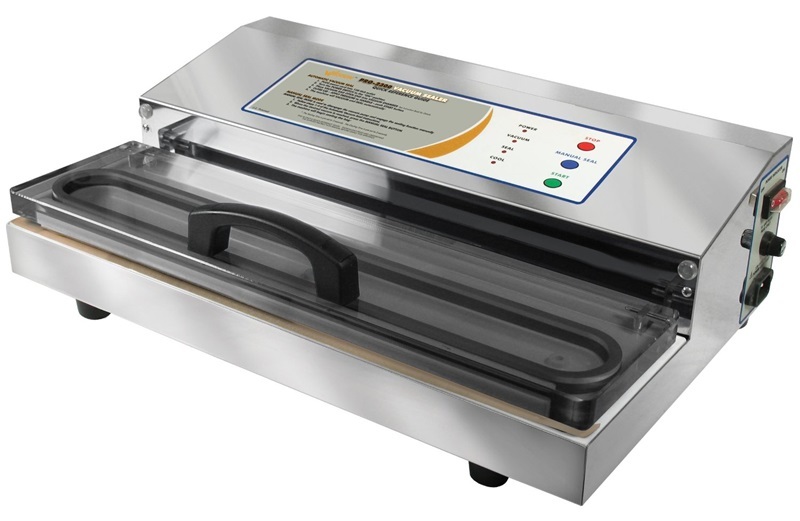 The Weston 65-0201 Pro-2300 vacuum sealer is regarded as the best in class. It’s a tried and true model that’s proven to keep food fresh for up to 6 times longer than ordinary vacuum sealers. It also gives you the option of an automatic or manual operation. The automatic mode makes it possible to seal your items with a one-touch operation, dramatically reducing your workload. The manual mode is great for creating a custom seal. The vacuum sealer’s LED lights provide bright, energy efficient light. The extra-large Teflon bar ensures that you can seal bags that are up to 15 inches wide! 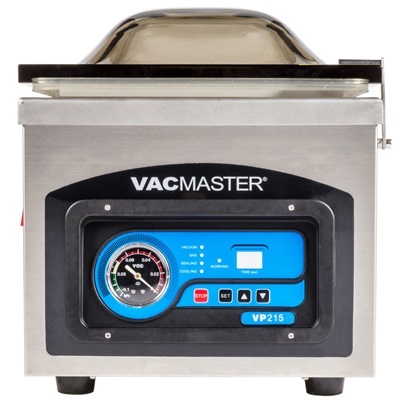 The VacMaster VP210 chamber vacuum sealer occupies the coveted No. 2 spot in the commercial vacuum sealing world. It's designed for heavy duty use and doesn’t require cool down time. 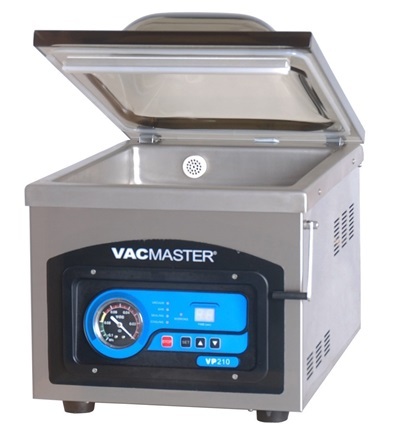 The VacMaster also uses a maintenance-free motor. How cool is that? Its dimensions are 24 x 19 x 19 inches so be sure you have enough room for this sealer before you buy it. It also weighs 83 pounds. Curious about this bestselling sealer?